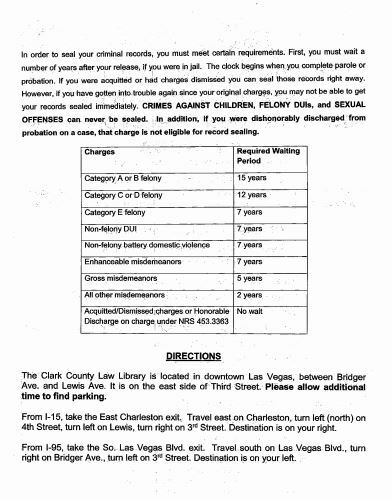 Free Criminal Record Sealing Class – restore your right to vote! 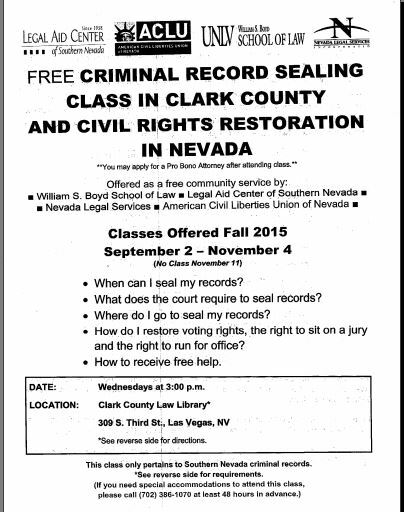 FREE CRIMINAL RECORD SEALING Class offered on Wednesdays at 3:00 PM at the Clark County Law Library from Sept. 2, 2015, thru Nov. 4, 2015. If you, a friend, or a loved one has a criminal record you are interested in having sealed, you should attend this Class. Seal those records – and restore your right to vote. 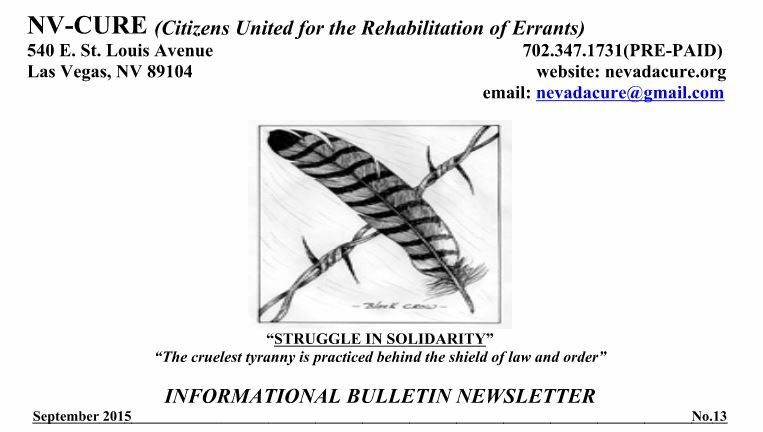 Use that vote to elect people that are concerned for the safety and well being of our people confined in our prisons. See the information on the leaflets for more info.